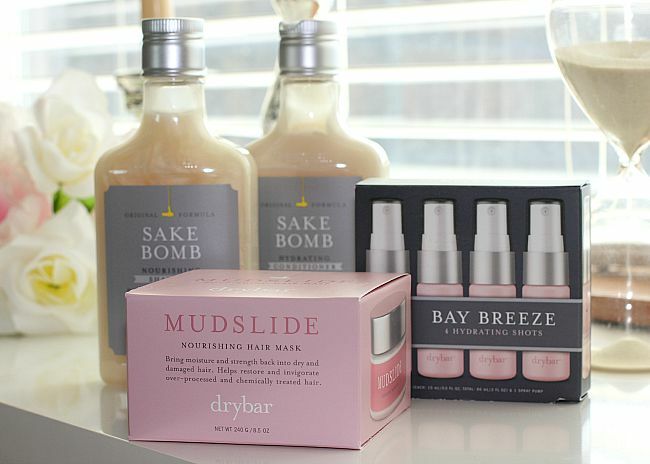 drybar has just introduced a new line of hydrating hair products that is hands down, one of my favorites. i live in a very dry climate and i have very dry hair thanks to the chemical processing that goes into highlights! i'm not willing to give up my blonde or my location so i am always looking for products that are going to give me amazing hydration and i am so excited to have found some. 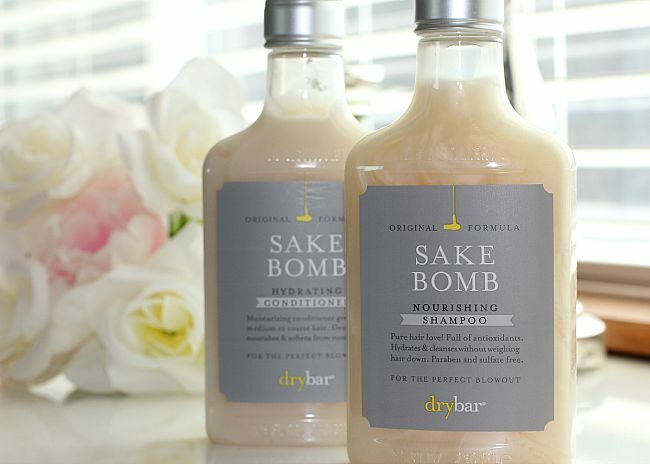 the new drybar line includes products called Mudslide which is a nourishing hair mask, Bay Breeze - a four pack of hydrating conditioning shots and last but not least, Sake Bomb which is of course a hydrating shampoo and conditioner. all items can be purchased in specialty salons or online and they are worth hunting down. i love the way drybar shampoos and conditioners leave my hair feeling so smooth and soft, not to mention the scent. there's nothing better than snuggling with my little Ollie (who's 4) and getting a whiff of her freshly washed locks and i can recognize the drybar scent anywhere! the products are fantastic for hydrating and nourishing hair. 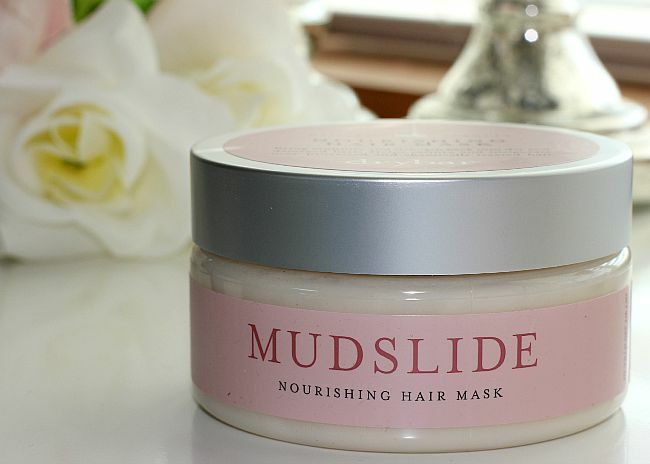 the real winner of the collection is the Mudslide nourishing hair mask. it brings moisture and strength back into your dry hair and helps restore over processed hair. i like that it is so easy to use. simply shampoo and then leave this moisturizing mask in for several minutes while your shave your legs, wash your face, etc. and then rinse. the final result is smooth, soft hair. 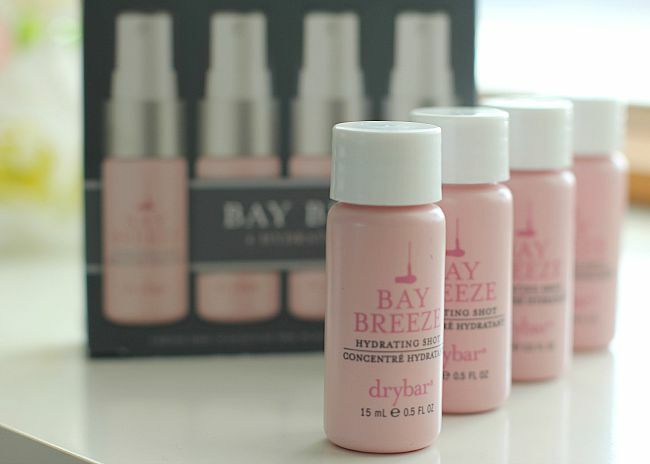 the Bay Breeze hydrating shots are miracle workers. for hair that is really dry and damaged this are going to bring life back into your locks. these are a little more labor intensive as you shampoo and condition as normal and then spray this into your wet hair and let sit for several minutes. give it a good rinse and then you are ready for a blow dry and styling. at the end of the summer season this is just what the doctor ordered to help revitalize your sun-damaged summer hair. drybar really lives up to its claim of the perfect blowout. what's your favorite product?